The psychological impact of disability can be significant, yet it is often overlooked. Leanne Tran is an experienced psychologist who has worked in the field of disability for most of her professional career. A key focus of her work is positive behaviour support and collaboration. Positive behaviour support is the assessment of a child’s abilities and needs across the whole of their life, and planning positive interventions to build skills and, as a result, decrease problem behaviours. The best outcomes are achieved when positive behaviour support occurs in collaboration with the team of people in a child’s life (such as family, schools, or other professionals). Leanne is passionate about achieving great outcomes through collaborative practice for young people with complex and challenging needs. She works with parents to better understand their child and their child’s needs – and builds their capacity to support their children. This can be in the context of anxiety, ADHD, or childhood trauma, or when their child is diagnosed with a disability, such as intellectual impairment or autism. Leanne also has special interest in cognitive and educational assessment as well as Autism assessments. She uses WISC-V and WAIS-III for cognitive and academic assessments, and the ADOS-2 and ADI-R for Autism assessments. Leanne can also assess level of functioning as part of these assessments. Leanne achieved her Bachelor of Psychological Science (Hons) degree at the University of Queensland in 2002. 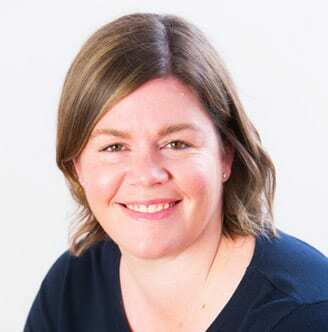 She commenced her career in 2003 and has worked as a drug and alcohol counsellor with the Alcohol and Drug Foundation of Queensland, a psychologist with the Cerebral Palsy League, and a psychologist and team leader with Evolve Behaviour Support Services within the Department of Disabilities. She commenced working with Paeds in a pod in 2013 and achieved her Graduate Certificate in Autism Studies in 2016. Leanne initially considered a teaching career but decided on psychology as an opportunity to help children to learn to manage life, and to build their capacity in more general areas rather than in academics. She has always loved working with children and finds it rewarding to know that her intervention at a young age can really change the course of someone’s life. Leanne has children of her own who keep her learning and developing as a parent, and her psychology training really helps with that. She loves sharing the benefit of her psychology perspective with other parents.